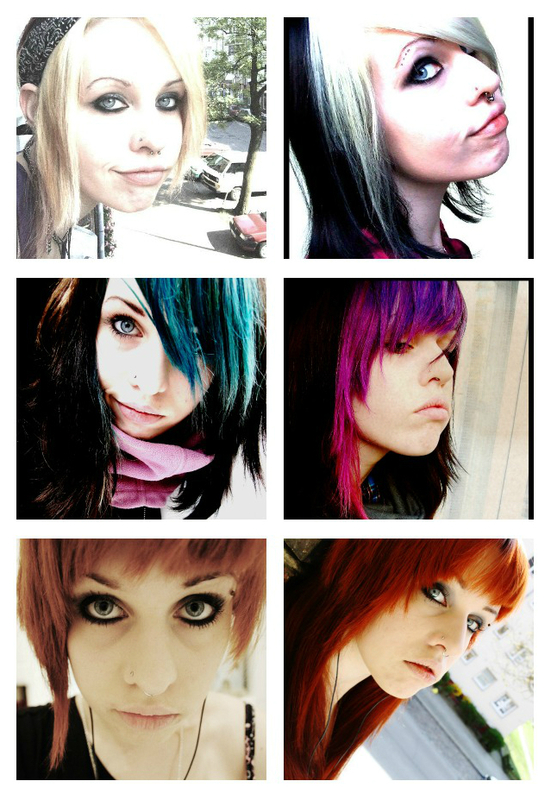 the suggestion of posting my past history of color and hairstyles was widely approved and you all wanted to see how I changed - so here it is! I grabbed my main hairstyles to show you, beginning in 2002 when I was 13 years old. I was a horrible teenager. I was in deep search of an own identity and had the strong urge to represent myself as an individual. 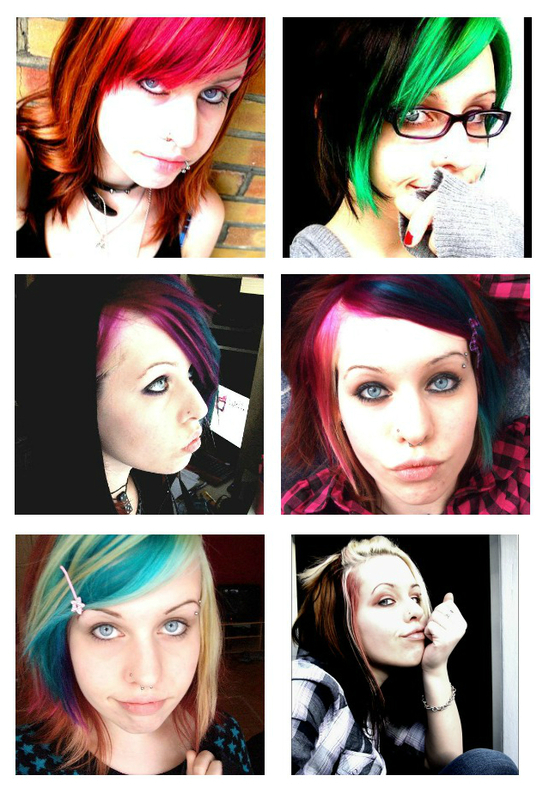 This urge peaked when I was 14 - 16 years old when I changed my haircolor nearly every month. My parents decided to get divorced for the most terrible time you could ever imagine - I was 15, generally not satisfied with everything and had to deal with my parents who splitted into two individual human beings. (Not that it came as a surprise; I was aware my parents would be beter off alone at the age of 12 already but I mean, they didn't need to do it in the most worst time ever when your teenage horror peaks at around 15! ;D )With that said, let's take a look! The rainbow-like hair actually was only an accident when I had blonde hair and wanted a bit of pink and green on the side...... washed out the color with my head upside down so that all the color mixed with my platin blonde hair. The result is seen above :D After that I decided to keep my hair a bit more normal with different shades of brown, red and blond in bewteen. After 1 or 2 years of having it that way I got bored again and dyed my bangs turquoise (nearly grown out in this picture, couldn't find an older one :/ ) I then switched again between turquoise and pink shades for almost a year. School ended in 2009 for me and I began to work. 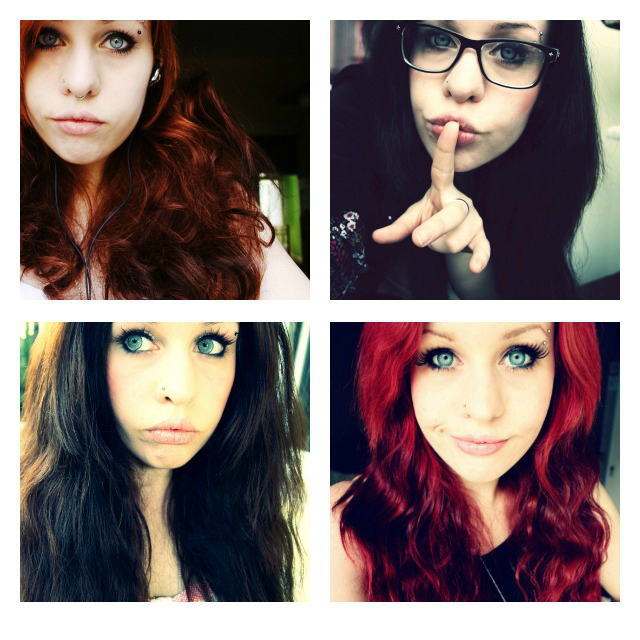 This was the time I switched to a reddish brown which was the most natural solution I could live with at this point. I kept it this way for quite some time and worked in a bookshop while I also began to study Japanese at university. 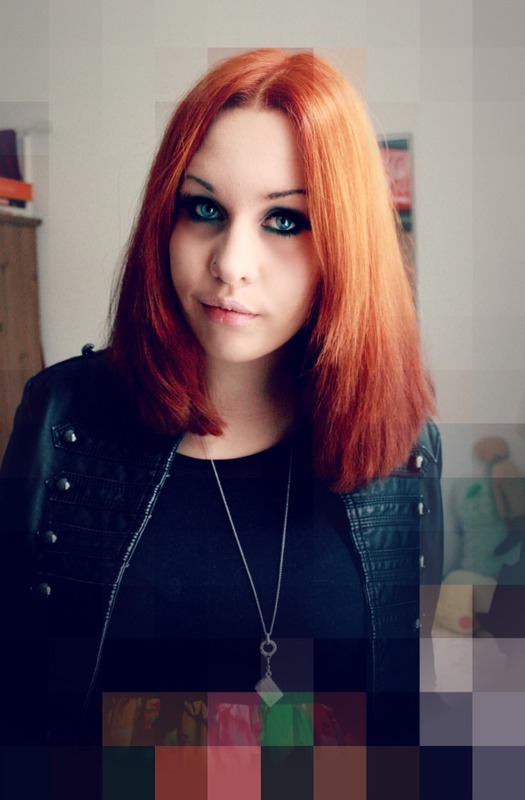 My hair grew longer and longer while having the red. At some point, I really couldn't stand the red anymore and decided to finally go back to my natural haircolor (after like, 10 years of not having seen it :D ) which you can see in the second picture. The third picture is the last I took before I went off for studying abroad in Japan. So as you all know, this is my hair as of Friday. 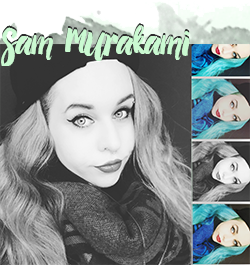 I really like the easiness of it, it's so easy to style!! It always took me ages even to make a decent looking bun with that mess of a long hair..
Have a stunning day everybody!